Everyone has their own criteria when it comes to the ideal home, but most of us can agree on some basic aspects like solid ground, straight walls, and an easy entranceway. On the other hand, maybe there’s something to be said for straying from the crowd when it comes to residential architecture – especially when your environment, income, or personality doesn’t mesh with conventional expectations. 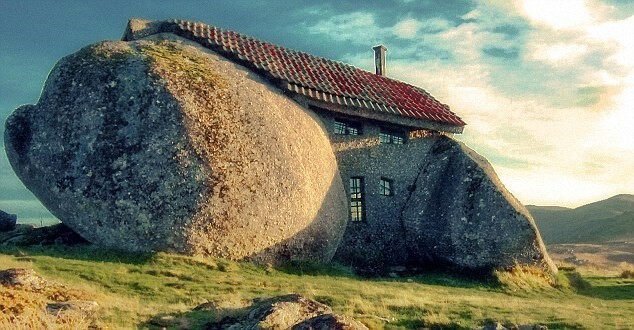 Here are eight pretty interesting, truly strange houses built in seriously odd places from around the world that may challenge your notions of home sweet home. 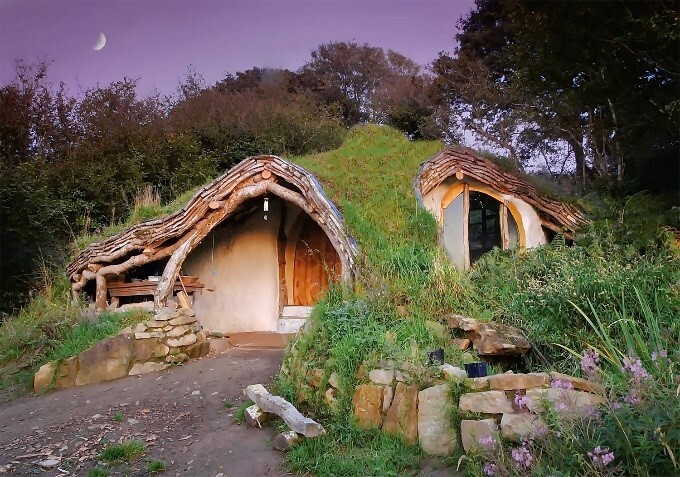 Charming and environmentally-friendly, the famous “Hobbit House” in the Welsh countryside is not far from its Middle Earth namesake. 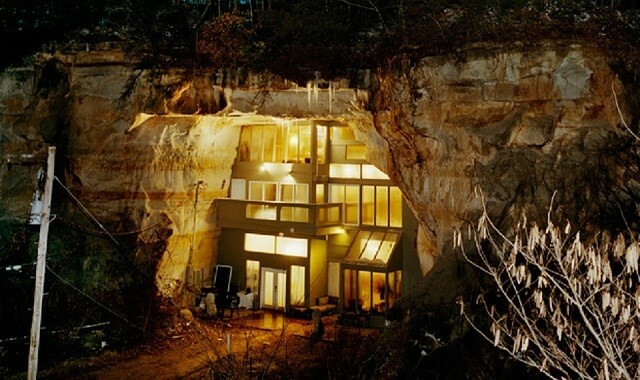 Built into the side of a small hill, it makes use of the natural rock and dirt to provide structure and insulation. In fact, the fridge is cooled by the air that comes through the foundations, it’s heated with a wood burning stove, and solar panels gather and channel all the energy the household needs to sustain its creature comforts. 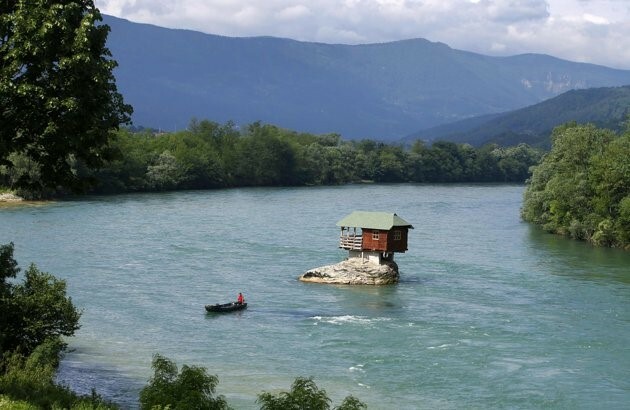 Marooned in the middle of the Drina River, this tiny cabin has withstood ranging currents, extreme winters, and everything else the Serbian climate has thrown at it for the last 40 years. It was built as a sort of swimming shack by locals, and has grown in popularity in recent years, as its image makes its way around the Internet. Likely not the most comfortable cottage you’ll ever visit, but certainly more waterfront property than most houses could offer. This oddity in the middle of an old sandstone mine in Missouri has been used for a number of purposes over the years (most notably as a concert hall for big-name acts), but is now a private residence. A hotchpotch of rock, wood, and glass, it uses the rock itself for supporting walls, and peeks out of a metal façade. A marriage of nature, modernity, and an upcycling sensibility, if ever there was. Many areas of Germany sustained a good deal of damage during the Second World War, but plenty of historical structures remain intact – and ready for an update. Take this former bunker, its weathered grey exterior peppered with bullet wounds that recall the battles, but clearly loaded with potential in the eyes of one enterprising architect. An apartment was built right on top of the stone block, with all the modern, high-class accessories a penthouse in a major city might offer. The phrase “between a rock and a hard place” has never been so apropos. Not surprisingly, this strangely sandwiched home has been likened to the house of Fred and Wilma Flintstone – and it doesn’t look to be much more modern or comfortable. It was originally built as a rural family retreat, and still has no running water. Plus, with the amount of attention it has attracted in recent years, the inhabitants can’t get away from curious eyes spying through the windows. What do you do if you’re a struggling architect living in a city of unaffordable housing? Why, you create your own artistic abode on public property, of course. 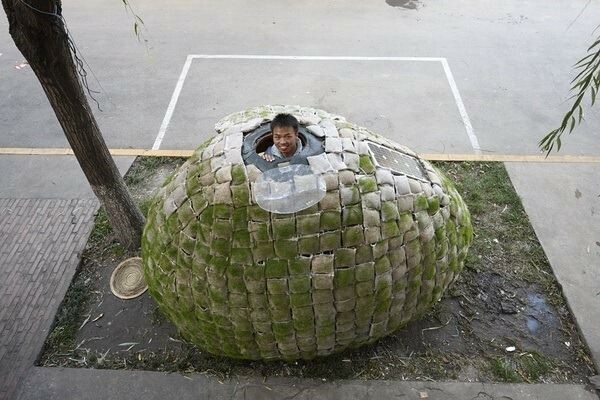 Young architect Dai Haifei has built himself an egg-shaped pod, right on a city sidewalk, where he has enough space for a bed (but not much else). Grass seeds sown into the ceiling have begun to grow a natural green covering, and a solar panel provides enough energy to power a lamp and a couple of gadgets inside. 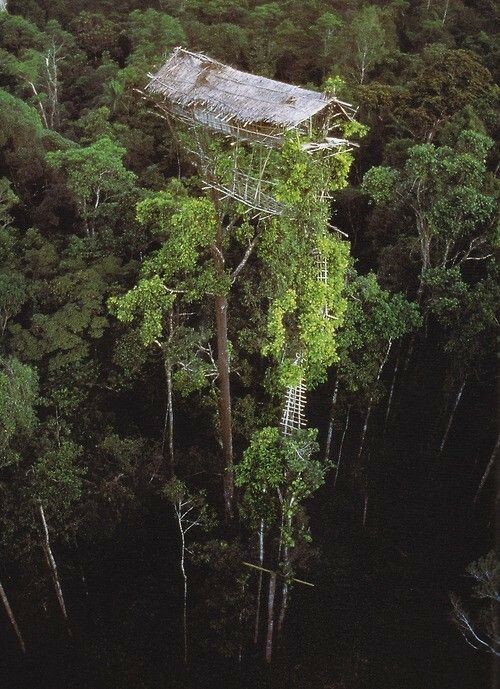 Deep in the jungles of New Guinea, these teetering treehouses graze the top of the canopy, housing the native Korowai communities as they have for centuries. They pepper the skyline in the west part of the forested country, soaring over 150 feet in the air to stay firmly out of the reach of predators, fires, floods, and rival tribes. A feat to build and to climb, the treehouses are telling aspects of the Korowai ingenuity and close ties to the forest. 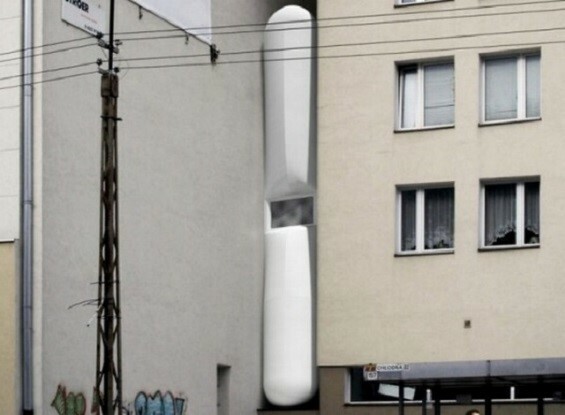 Built between two existing buildings, the Keret House is the world’s slimmest home, measuring less than 3 feet at the narrowest parts, and less than five feet at its widest point. This strange white capsule is actually a marvel of efficiency and bright design on the inside. Living space is spread out over a series of rooms stacked on top of each other, and carefully placed windows and skylights let in a surprising amount of light. It takes a certain sort of creative mind to design a home in a seemingly uninhabitable space, but it surely takes an equally flexible personality to get used to life there. 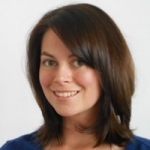 The daily challenges that come along with living in an abode that’s squashed between things – be they rocks, buildings, ranging rivers, or public sidewalks – probably make the inhabitants pretty interesting and open-minded people.